Hi everyone! On holiday, I spotted plenty of Inglot stands around the various perfume shops and since it's pretty difficult to get hold of in the UK, I got a little 3-pan palette and I've been testing out the eyeshadows! 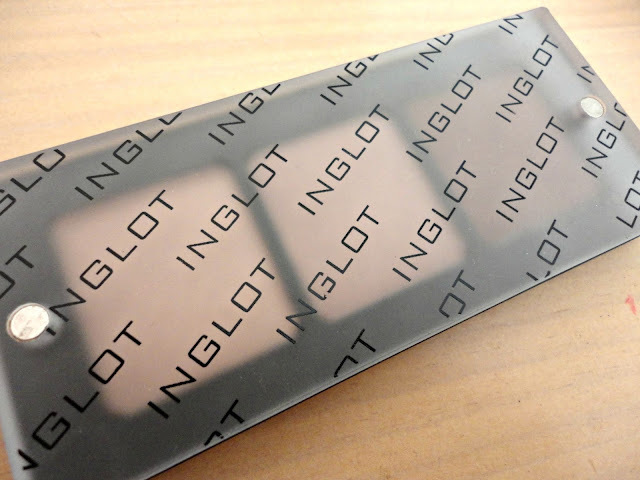 I've been in love with the magnetic cover since I first laid eyes on it - it's such an innovative idea and the magnets are so strong that you don't need to worry about the cover detaching and ruining the shadows - especially when travelling. There was a row of neutral shadows and if you've been reading my blog for a while, you'll know that I rarely choose any other colour palette! The shades are numbered, so the numbers I got were 154, 31 and 421. I'm not sure how many shades there are in total but there weren't any matte neutrals on display where I was. Below I've included close ups of each individual shadow. Sorry if they look a little blurry but, as they are shimmery shades, I couldn't get it completely clear! 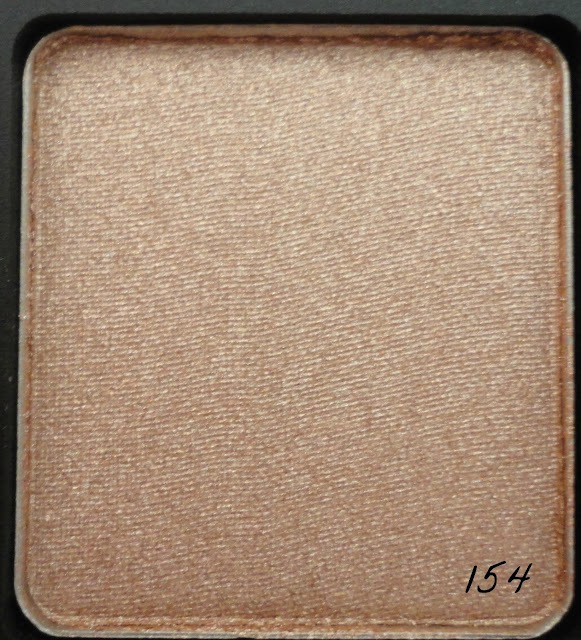 The first shade is 154, which is a gorgeous gold colour, which I would describe as a less vibrant 'Half Baked' (Urban Decay). Therefore, I think it would be perfect for daytime. I've used this as an inner corner highlight and it works beautifully as it's very pigmented. 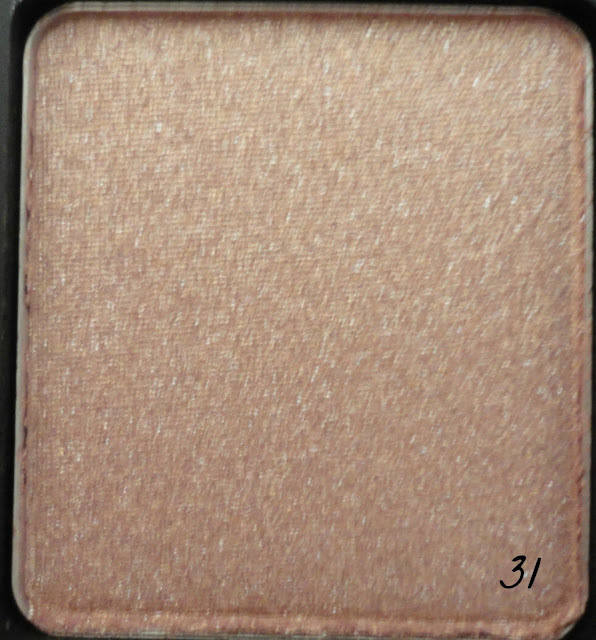 The second shade is 31 (sorry about how blurry this one is!). It's a shimmery rose gold colour which is quite different to anything else I have as it doesn't look too pink. Also, the gold definitely comes through when applied and I think this is the perfect lid colour. It's probably the least pigmented of the three, so I think I'll be using it under a base like MAC's 'Bare Study' Paint Pot (review link) to bring out the colour more. The final shade in the palette is 421. This is my crease/definition colour and it's a gorgeous chocolate brown. 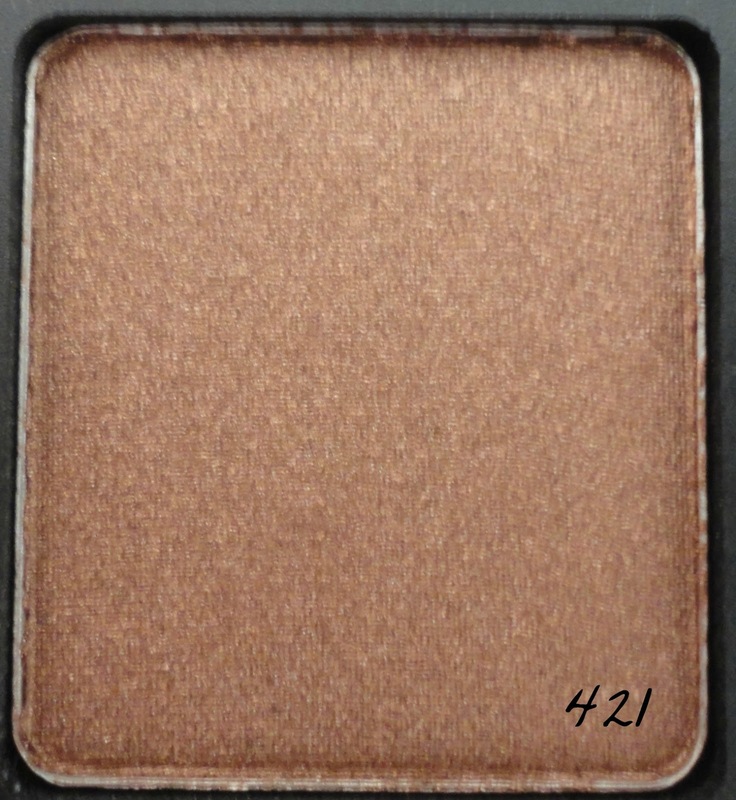 It has a very slight hint of red in it, so I think it would look nice paired with MAC's 'Woodwinked' eyeshadow as they both have similar undertones. All three of the shadows had amazing lasting power. I wore these for a good 4/5 hours (with a primer) and there was no creasing at all and the colours still looked just as vibrant! 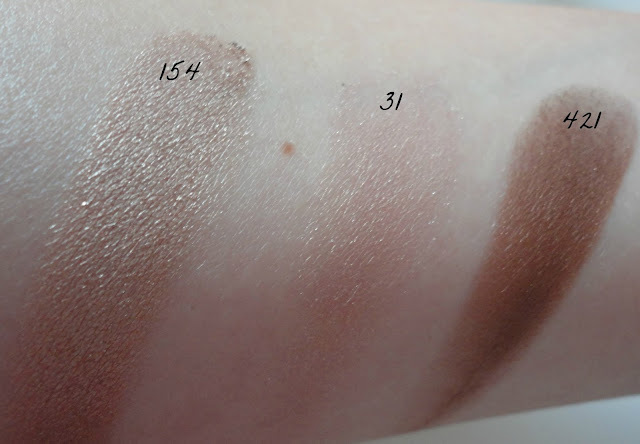 What also impressed me was that there was absolutely no drop out when applying so it could easily be applied over foundation without leaving eyeshadow under your eyes. I think these were around €20 for the whole palette which is pretty good considering the amazing quality of the shadows. It's such a shame that they're so difficult to find in the UK but I'm looking forward to having a play around with these now and hopefully getting some more shades in the future! Such pretty colours :) I want to try them, because of the quality everyone said they have and I will go for neutral colours as you did! 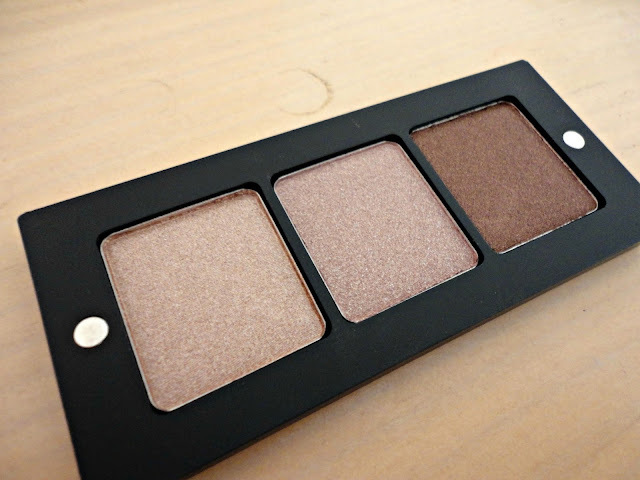 This is a perfect little trio, love what you've picked!